OutLET: Play Resource C.I.C is bidding to bag a massive cash boost from the Tesco Bags of Help initiative. Tesco teamed up with Groundwork to launch its community funding scheme, which sees grants of £4,000, £2,000 and £1,000 – all raised from the 5p bag levy – being awarded to local community projects. greenspace scotland is working with Groundwork to provide support to communities in Scotland. OutLET: Play Resource is one of the groups on the shortlist. 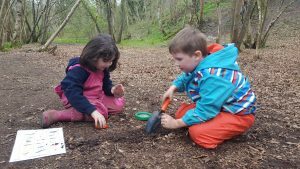 The ‘Wild Time Forest School’ programme provides a safe environment for children to build their confidence, self- esteem and resilience while exploring the natural environment. 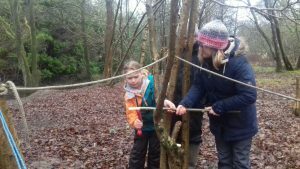 Since starting Lesmahagow in September 2016 – Wild Time Forest School has worked with over 60 children, many of these children have additional support needs. 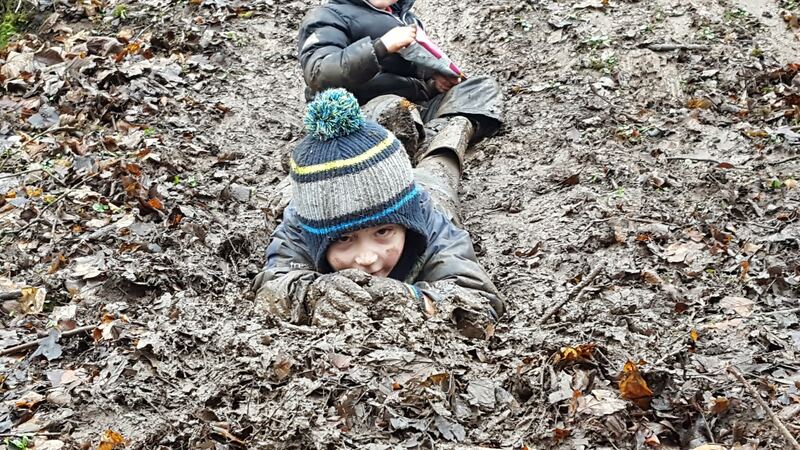 The Child-led ethos of Forest School environment provides a ‘Level-playing field’ for all children, allowing then to follow their own interests and explore in their own way. Jackie, Founder of OutLET: Play Resource says ‘Forest School is a long term, inspirational process that really allows children the space to fulfill their potential. It enables children (and volunteers) to take risks and to challenge themselves in ways that they haven’t done before.